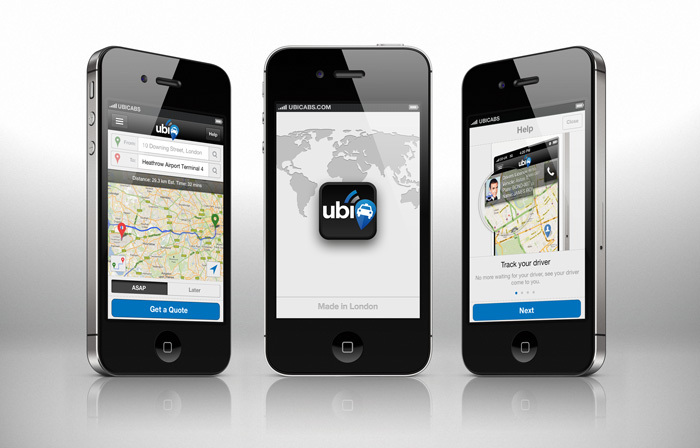 The new release of the free ubiCabs iPhone Taxi App is here! We’ve been listening to your feedback and have made some great improvements to our app over the past couple of months. Now we’ve polished it even more for a speedier easier to use experience. Instant address lookup – Makes finding your address easier. Get free cab credit – Give £5, Get £5. Refer your friends and earn free ubiCabs rides! Pay by Card – We’ve added additional security to all payments so you know your card is “ubiSecure” with ubiCabs. Book for a friend – You can now help your friends out by booking a ubiCab for them. Simply enter their name on the quote screen. Share My Location – Share your journey with select friends. Use this when heading to a meeting or when going home late at night. Ratings – You can rate your journey which helps give you better cabs in the future. Every rating matters! My Bookings – History for all your bookings, book return journeys and repeat bookings. Taxi Selection – Choose your type of taxi (Saloon, Estate, MPV, MPV Large). Wow that’s a whole lot of features, don’t worry we hope you’ll love them. Also we’re still adding more coverage and companies to ubiCabs everyday and getting you better prices on taxis. Have fun ubiCabbing and download the taxi app if you haven’t already got it.